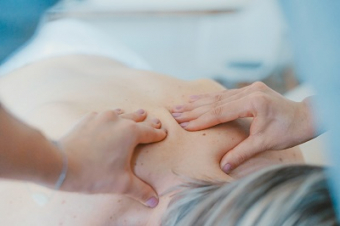 What insurance coverage should I have for my medical spa? As a business in the medical spa industry, you operate in a diverse and rapidly-evolving environment. A comprehensive insurance policy can provide you with the security you need. The beauty supply industry is a multi-billion dollar industry that has been booming since the early 90's. Millennials and baby boomers alike are investing in raw, organic, and ‘clean’ products to support their long-term health. The medical spa industry continues to grow at a rapid pace. Given the speed of growth, businesses operating in this space face unique challenges. Medical spa businesses must keep pace with consumer demand for services, this requires a unique mix of professionals under one roof. Medical spas might include core and non-core physicians, nurses, entrepreneurs, nurse practitioners, and physician assistants. Services provided by salons and spas include techniques from the medical, cosmetic, natural and holistic health spaces. Acne treatments, floatation therapy, waxing, botox, nutrition services, hair and skin care, physiotherapy and more can be available. Additionally, products used in the medical spa can incorporate everything from natural to synthetic ingredients. Due to complex and strict regulatory requirements, the industry is working together to evolve the profession safely and profitably. A commercial insurance policy is incredibly important in the medical industry. Without a thorough and comprehensive policy, you could be personally liable if something happens to your building or equipment, someone in your practice gets hurt, or hurts someone else. Do you have a medical salon, spa, recreation facility or cosmetic business? Are you thinking about starting one up or joining a practice? Here are some of the standard insurance coverages that you should have to ensure that you are fully protected. Professional Liability – Provides the ability to ensure that there are no gaps in coverage between your commercial general liability policy and your professional liability policy for those is an advice or consultancy role. Cyber and Privacy – This coverage protects you from the expenses associated with privacy breeches, HIPAA violations, system damage, business interruption and more. Read more about Cyber Insurance technical terms here. Sexual misconduct and physical abuse liability – This protects you from the legal defense expenses up until adjudication, as well as the legal liability (which includes claimants costs and expenses for any organization). Commercial General Liability – This coverage protects you against legal expenses and compensation claims brought by external individuals injuring themselves on your property. Medical Director / Physician Extension Clause – offers coverage for employees that are not practicing physicians, such as nurses, technicians, therapists and estheticians. If you are currently running or considering starting a business in this fast-changing and complex industry, comprehensive insurance can work alongside you to support your health practice. Let us help guide you through understanding your unique insurance needs. Is Your Business Covered Properly? If you don't know the answer to this question, it's probably a good idea to talk to a commercial insurance expert at one of our five offices. We can help you evaluate what coverage is right for your business now – and what you need to think about as your business grows.